akash’s voice rose on the last “water” and fell to a soothing mellow thereafter, and yet there was an underlying fire in it… “love to me” he sang completely immersed, his head swayed a little, his shoulders moved to the beat, his hands tapped the bench they were sitting on. at times he strummed his nonexistent guitar, not at all conscious of the onlooker, giving his song everything he had. payal frowned. was akash remembering someone real… from his life maybe? no, payal did not like that thought one bit and pushed it aside resolutely. she looked at the man she was going to marry instead, there was something free and unfettered about him this evening, even a little crazy. she had never heard the song before, yet it made her feet tap and a smile kept peeping out every now and then. akash’s eyes were closed mostly and even when they were open he seemed to look at some point in the distance up there among the great trees of lodi garden. as he finished, and the last “love to me…” was whispered out, he turned to her and smiled slightly. and like magic it seemed to payal, the familiar akash was back. a shyness in his eye, an expectant air as if wanting to know what she thought of his singing. payal couldn’t help but smile back at him, her eyes lighting up, “akash, aap toh… aap toh bahut achhe gate hain… what was the song? you must tell me more about it… i know so little about the things you like…” her voice had started to sound hesitant, her feeling of inadequacy suddenly gatecrashing the moment. payal gasped audibly at his words. what was akash saying?! then came a violent crimson blush. payal’s ears and nape of neck went hot, her hands went cold. akash had never said such a… romantic… yes romantic… thing to her. her eyes were that beautiful?!! embarrassed and tremors of an unknown feeling running through her, she shut her eyes tightly. the sun was setting fast, all around were trees now silhouetted against a sky suffused with the colours of sunset. there were hardly any people in the garden now, the laughter and squeals of children were gone as were the many elderly people out for their evening constitutional, the dog walkers were done with walking their charges… serenity stretched all around. akash looked at payal sitting amid that, her cheeks flaming, eyes shut, a sweet innocence on her face. he recalled the anger in her eyes that first time he had seen her, protecting her sister, feisty, strong. he couldn’t hold back any longer, he leaned forward and placed a tender undemanding kiss on her lips. payal went completely still, she almost stopped breathing. then her eyes opened, she stared at him dazed and the next moment she stood up and ran away but not before akash had seen a bright smile flash on her lips. her tremulous “akash!” meant to admonish him perhaps, only aroused a lightheaded feeling in him. payal stayed where she was but she let her arms go up and around his neck, and grasped his collar, “akash…” she sighed and pressed her head against his shoulder. neither one of them saw the swing of a humongous gold jhumka with a rim of hanging ruby beads as a head turned sharply and a most perturbed purple banarasi saree clad figure was pulled away from behind a shrub close by. “kya?!! aap kya kah rahe hain?” khushi almost shrieked. what was arnav ji saying? jiji and akash ji would get married… on their wedding day… that is, her and arnav ji’s? true, she didn’t think this was a good time to get married and had said as much. di might react terribly to the news of shyam having several wives… besides arnav ji was very worried and she really was in no rush to get married to this… this… khadoos arnav ji of hers, but when he said that, she felt a sharp jolt in her heart. and a feeling she couldn’t instantly identify skittered through her entire being. what was it? that’s what she had just felt she realised. a proud head turned, furious brown eyes glared at her, nostrils flared dangerously. 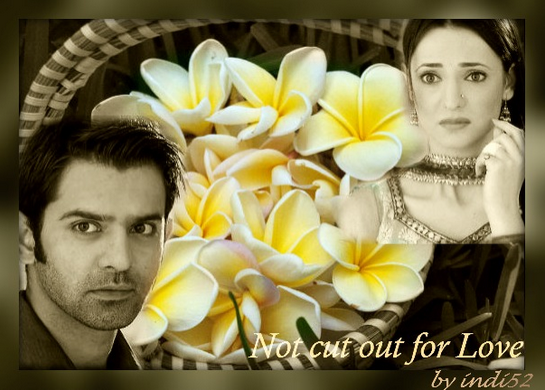 “shut up, khushi,” asr grated out through teeth clenched tight. “what do you suggest i do then? do you have a better plan? i really don’t want to upset di any more than i have to… and how can i marry you in the middle of this mess?” his voice was silky thin with anger, flames hissed around it. khushi shivered and again felt the stab of disappointment. he didn’t want to marry her. but her real concern was indeed for their two families. didn’t this laad governor understand any normal human feelings? why was he so… so… khushi was so frustrated and focused on her thoughts, she didn’t see extremely angry eyes begin to soften, grow darker and gentle, then a little amused. fine chiselled lips pursed and started to lift in a smile. asr felt that funny catch near his chest again, driving was becoming difficult, he told himself to look at the road instead, but his eyes seemed to have a mind of their own, they didn’t move. “stop making faces again, khushi,” he tried to sound crisp and brusque, his usual self, pull her leg, get her miffed, but it came out almost guttural, like a rough rasping caress. he swallowed just as her startled eyes swung to his face. his gaze had still not lost its smile, though his forehead was lined with a frown and his lips were set dead straight. a muscle leapt at the corner of his left jaw. but all khushi was looking at were his eyes. in the half light, darkness outside, a glow from the dashboard mixing with the pale orange of the sodium vapour streetlights in the suv cabin, a pair of large wondering hazel eyes and two glittering clear brown ones looked at each other. in the space between them time stood still. all around was silence, even breath had stopped it seemed. and then breath rushed into the void, racing tumbling, deafening. dhakdhak… dhakdhak.. dhakdhak dhakdhak… accelerating and going past some limit, a barrier, swirling around them filling up the cabin… then just as suddenly as it had volleyed in, it settled down, consolidated, grew calm and beat steadily. i want to go to sleep every night looking at this face, the thought came to him simply, without fuss…and wake up in the morning knowing she’ll be there, the thought completed itself. what was i thinking? he chided himself. how can i not marry you three days from now? i’d marry you right now, khushi. his breath lingered over the “kh” owning it. it was a strange predicament for a man who had always taken decisions with his mind, swiftly, astutely. and whose decisions were rarely off the mark. a man who looked at life as objectively as he could, shutting out emotions, almost not trusting them, believing they confused, they interfered with clarity of thought. arnav singh raizada was sharp, smart and decisive. given the circumstances, he thought he had the perfect solution: akash and payal would marry in three days instead of khushi and he, he would convince di that akash was really keen to marry soon and since akash had wanted to marry payal much before he’d even thought of marrying khushi, it was only fair. he had also thought he’d go right now and talk to di about shyam’s many marriages, hide nothing, di had a right to know after all. not once had he asked himself what he wanted while thinking this through, not once had he let his heart get into the process, not once had he let his mind wonder to the face his eyes couldn’t leave now. he had just thought as he had taught himself to, looking only at the problem and seeking a solution. that’s how it worked. yet for the first time in his life, his decision felt wrong, in fact, it felt unintelligent, dammit. khushi could feel his eyes say a million things to her and yet all of them said only one thing, that thing… woh baat… that he… he loved her. and that was all that seemed to matter. yes, he was an unthinking man at times, actually pretty often, and right now what he had said was crazy… didn’t he know how it would affect their families? how could she love such a feelingless man? yet, she did.. and that was all that counted. and if this was what he felt was the right thing to do, she’d go along with it. she trusted her arnav ji. pagal hai tu? asked her rational thinking mind, the part of her that always knew when bhalla chacha was trying to cheat babu ji with the debt tally or when a customer who was oohing and aahing over the sweets and made promises of huge orders would only end up asking for a measly amount of their wondrous mithais and then wrangle pettily over price. oh there was a very keen and smart head in khushi somewhere, though it may not be apparent to many. and at this present moment that side was aghast. what???? you’ll not fight with this man and tell him what’s right and make sure he doesn’t do any such thing? khushi ignored all her mind said and decided, she would trust this man, she would trust those eyes and what they said. sahi, galat, right and wrong, they really didn’t mean a thing in this love she felt… she would believe, she would have vishwaas and that was all. for some reason she thought a star or maybe two sparkled somewhere not so far away in the night sky. no, there was no need to have a long conversation with them about why she loved such a magarmach. she did, that was all there was to it. asr was the first to look away, he turned and focused on the road. both were surprised to find only a fraction of a second had passed in all the while they’d been caught in that moment of theirs, a hundred and one thoughts filing past their minds, and a real palpable undeniable beautiful truth taking hold. khushi, you’re right, i was thoughtless and maybe even a bit stupid, asr thought to himself. laad governor, aap theek hi sochoge, shatir ho na, said khushi to herself. “aap toh suttup hi kar leo ji!” snarled manorama raizada at her husband as he held her elbow firmly and marched her toward their car. rajveer singh had been noticing his wife’s rising agitation over their only son’s impending nuptials for a while. he knew manorama had agreed under duress and although he was absolutely with akash in this decision of his and had grown fond of payal bitiya in the few times he’d met her, liking her calm demeanour and centred persona, he did feel for his wife. and because rajveer singh knew his wife better than perhaps anyone ever had bothered to, he also was quite certain that in her own time and in her own extremely difficult to fathom way, she’d accept payal and even love her some day, but at this moment mano was not feeling happy. a restlessness seized her, her dreams of getting a daughter in law from an established old money family and further consolidating her position in the raizada home, were shattered. that was one thing, the other really was to do with her overwhelming love for akas bitwa. mano doted on their son, she practically lived for him, and although many would argue her booty of gargantuan flashy jewellery and cache of gold zari festooned sarees were her only true love, her husband knew that was not the case. it was always akash first, then her bristly self esteem and in third place, he… mano’s raju ji. rajveer singh didn’t really mind, he had a feeling for his loud and crass wife which he never bothered fighting and he had no doubt at all that when she responded to his first shy advances, it was with her head clearly working out the math of who would get what in this equation. though he was not the most handsome of men, manorama knew there was too much to be gained from this liaison to now quibble over one small thing. not handsome maybe, but raju ji had a nice voice and what’s more he looked fairly dominated by his mother, so if she played her cards right, he would be under her thumb in no time. he was rich, in fact he had plenty to inherit, he was kind, he was obviously very attracted to her, he had no brothers which meant there’d be no dividing of property, his only sister was married into a very wealthy family and lived far away. she, manorama yadav, who came from a family that often had to worry about where the next meal would come from and who had several sisters after her, not a single brother, a drunkard father and a perennially sick mother, and who belonged to a caste much lower than the raizadas’ and, most importantly, who really had no desire to have the life her mother had had, could really see no downside to the burgeoning desire she could sense in rajveer. she let their little friendly chats grow into something more and then something even more and very soon he was asking her to marry him. everything happened the way manorama had planned it, but for a couple of things. she came to have the softest corner for her gentle, erudite man. she did fall in love with rajveer singh raizada. but as rajveer always knew and accepted: in her own way. with all the twists turns barbs and cavils of manorama’s kind of loving. secondly, rajveer never really became completely her stooge… alas, he still listened to her mother in law and what’s more, even had opinions of his own at times that he stuck to no matter what. never one to cry over things for too long, manorama decided to concentrate on her jewellery, wardrobe and formidable makeupiya and be happy with what she had achieved. and soon enough she had a precious gift bestowed on her where she never had to compromise in any way. akas bitwa. her one and only child. her prince. now he was going to marry a not at all bootiphool or reech caamener. and worse still, mano sensed this wily scheming prince catcher from lucknow would take him away from her, make her akas a slave, a slave of his wife, hello hi bye bye. rajveer knew mano well enough to know what exact vision her mind had conjured, and how terrible she was really feeling. he didn’t like to see his wife in this state, so he had suggested going out today, do a few things she enjoyed… other than going to the beauty parlour that is. manorama still loved to eat chaat at the stall near lodi gardens, so he took her to ramniklal’s at connaught place first to buy a saree. an expensive jamdani silk lifted her mood instantly of course. when he suggested chaat, she beamed, shook her head and murmured, “aaj toh aap beings so bhery the romantics, bhat eej matters, raju ji, hello hi bye bye… bhat you are bhantings phrom yours mano babys?” she asked with an arch look and a suggestive smile, her voice was all shimmers and silk, rajveer hoped no one in the shop had heard, especially the last two words. after a hearty meal of papdi chaat, dahi kachauri and dahi vada, he asked if she’d like to walk in the garden a bit before heading back. again manorama gave him a little look, they hardly ever went out on their own really. of course, being manorama and very focused on transaction and profit, it never occurred to her that her husband was doing this only to make her feel a little better, calmer. helping her come to terms with a new reality, no matter how challenging. he just wanted to see her happy. they were walking in lodi garden, manorama had begun to feel happier, almost free of all anxiety, when suddenly they saw a girl dart away from a bench where she’d been sitting. soon after, a young man jumped up from the bench and followed her, also running. the light may have been falling, there may even have been some obstruction to a clear view caused by the branches of a bottle brush tree, but even with her eyes blindfolded, manorama would know her akas bitwa anywhere on earth or wherever. this was of course akas bitwa… and he was running after a girl. manorama almost screamed as her feet froze on the spot. before her horrified gaze, akas bitwa ran around a tree, caught up with the girl… it was payal! and then he hugged her!!! with that he started walking with her toward their car. “ee kaisan happenings? my sonwa alones bhith that… bhith that bad girls phrom issmall towns…? i bhill naats let this happens, tellings you, mister raijadda.. naats my bitwa, hands aaph him, besharam girls!! !” screamed manorama raizada at her hapless husband. he muttered to himself, “our bitwa’s hands were not exactly off payal bitiya,” and prayed his wife hadn’t heard. his wife turned to him, face contorted in anger, no thought of her visage and its many splendours clearly. “aap toh suttup hi kar leo ji!” she snarled, then sniffed loudly. “arnav ji?” khushi’s voice was low. asr had just stopped the car in front of bua ji’s house, he looked at her and in his laconic way, said, “what?” his mind seemed to be on something, he was frowning and peering at his watch. “coffee kaisa tha?” khushi asked and wondered why she sounded so demure and her cheeks were beginning to redden, go hot. “not as good as op’s though,” came his voice, clipped and assertive. khushi’s mouth opened in indignation. what! laad governor kahin ke… how could he say that! and why was she even feeling bad?!! let him go to his op and watch op while he made the his coffee. huh, she didn’t care. no she didn’t… that slight disappointment in her was over the fact that she hadn’t poured the coffee over him. really! she, khushi kumari gupta, was not going to put up with this. she was leaving. with angry fingers, khushi went to undo the seat belt. her fingers were shaking and for some reason they couldn’t accomplish this simple task, going all over the place, hitting all the wrong spots on the belt, unable to press a simple button. a strong hand closed over hers and held it in its firm assured grip. slightly calloused, rough skin pressing against her tender soft hand. khushi looked away, turning her face, not wanting him to see how upset she was, how hurt. and anyway, why was she so hurt, it was only coffee!! he should try the malai lassi she made, bet op had no idea how to even make the curd really smooth and silky. hah! “kisse pyaar karti ho?” warm breath teased her ears and she almost didn’t hear the softly uttered question. how did voice and breath mingle like that and create mayhem? and why was she feeling almost dizzy suddenly? the man was definitely doing jadoo tona. hoonh, she wouldn’t give in, never. then she tossed her head. she could feel the breath on her ears, her nape, shift and move as he chuckled softly. “excellent!” he said and leaned right over, then his lips were hovering over her cheek making a heady trail toward her lips. khushi held firm, she was not going to give in. she felt his breath grow warmer, his touch aroused her skin, she heard him moan almost inaudibly right against the corner of her lip. she was sinking and falling into a whirlpool of sensation when his lips left hers and moved down her chin, her neck, breath caressing, nuzzling and then she felt his warm lingering lips at the base of her neck where a pulse beat and the pearls rested. khushi shivered. she let her hand slip under his shirt and settle on his heart, her palm flat against his skin. 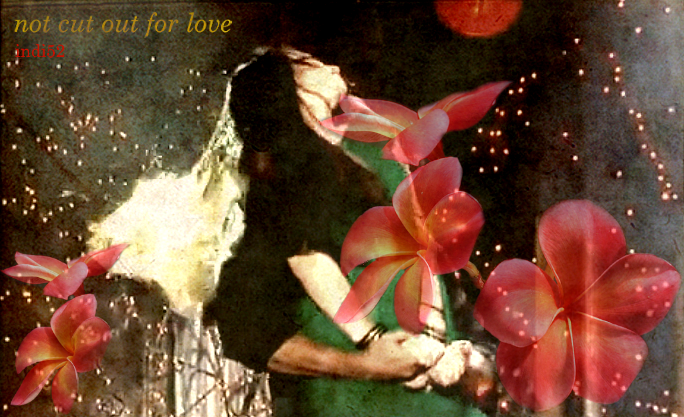 dhak dhak dhak dhak dhakdhak… whose heartbeat were these… hers or arnav ji’s or did it really matter?… koi faraq nahin padta. asr walked into shantivan but clearly peace had fled his home. everyone was in the drawing room except for akash. mami ji was wailing at the top of her voice and unlike the others she was standing and gesticulating wildly as she spoke. “no one eej listenings to me manorama… bhery good girls, issmall towns girls, akas bitwa likings hers… so simples, so good maternity homes!!! hoonh!” mami ji simpered mimicking a sweet innocent girl, then she snatched the pallu of her saree, wiped imaginary tears from her eyes and raved on, “hoonh! no one eej listenings to manorama in thees houswa… jaisan ki hum not piressent pillleejh hello hi bye bye… i nevers likings that madhumakkhi, that phalying aall the ways phrom lucknow to dilli to stingings my boys… aaa ha ha ahaaannn!” mami ji flung herself down on a sofa and burst into tears. obviously, this had gone on for a while, asr could tell. hearing her favourite nephew’s voice, mami ji seemed to find a fillip of energy and angst. 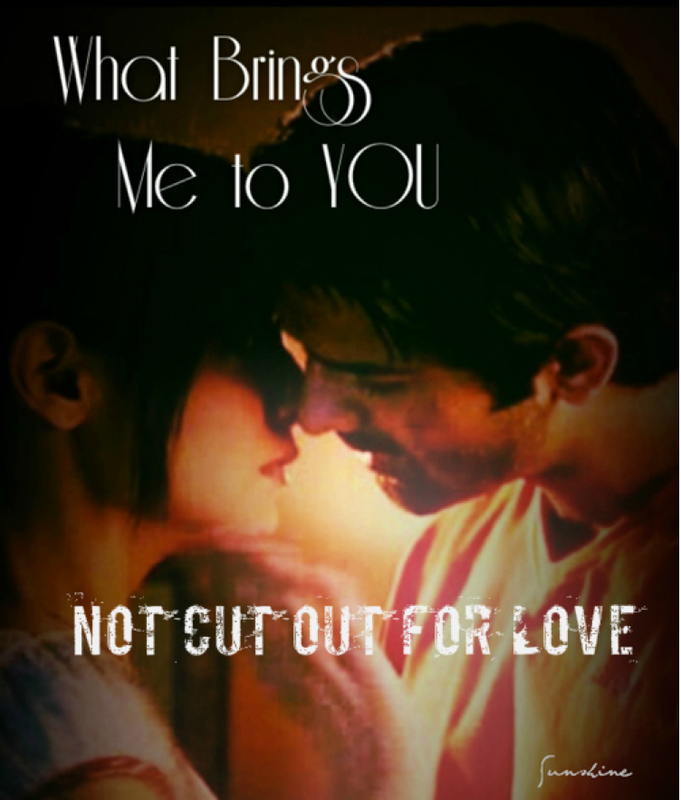 “i get it, mami… not lakshmi’s either…but what did you see?” asr cut in, a hint of impatience in his words. “aaanh!” mami cried once more before whining, “i cannats tells youj… so ishamefulswa… you tells bitwa, aap hi bataiye, hello hi bye bye…” the frequency of hello hi bye bye had gone up in direct proportion to her agitation. mama ji was handed the onerous task of revealing all to arnav bitwa. “so?” asr was puzzled. what was so upsetting about seeing the two of them together? he glanced at di and then nani, why were they looking worried? mama ji sighed and with a shrug said, “nothing… just that they were… you know… er.” rajveer raizada had started looking positively uncomfortable. asr’s eyes gleamed as he got it suddenly. he almost smiled. what the. akash! who would have thought. his eyes now practically danced with mirth and approval. something made him look at di. she was gesturing to him with her hand tucked away to hide it from the others and shaking her head slightly at the same time, urgently trying to tell him not to say anything he shouldn’t. a shriek rose from mami ji and a sigh of relief from all else. hariprakash rushed in with a glass of water and gave it to manorama. lakshmi ji traipsed in behind him and bleated, “mmmeeehhh mmmeeehhh”. “aap theek kah rahein hain, arnav bitwa, yahi toh hum kehna chahte hain, par manorama sune toh na…” mama ji sounded completely unburdened. it was true, even he was taken aback by what he saw because despite knowing akash liked payal, he really hadn’t pondered the realities of young people in love these days. in his time things were different… but that didn’t mean they shouldn’t marry, just the opposite in fact. “nani…” both anjali and asr said together, looking at her, concerned. “manorama, just because the children want to be with each other does not mean they are doing something terrible and payal bitiya is a girl of questionable morals… so please, be sensible and let’s behave like elders!” nani ji sounded stern. mami ji eyed her mother in law warily and decided though it was the words of her nephew that had really made her change her mind, she’d pretend the credit went to nani ji, there was more advantage in that in the long run. “ji, sasu ma… aap theek-a hi kahe rahi nain…” mami ji muttered sounding chastened. mama ji glanced at his wife sharply. anjali sat up all of a sudden and said, “idea! nani ji, you want jaldi jaldi shadi na? how about getting akash and payal married on the same day as chhotey and khushi?!!! both my brothers becoming dulhas on the same day… kitta maze aayga na!” anjali’s eyes were shining, her nose was scrunched as her smile spread across her face, lighting up the whole room it seemed. asr had not seen di look so happy since the day she found out about shyam. he just watched her silently and decided to put off talking about his despicable brother in law by a day or two. “that would be wonderful, anjali bitiya… but i don’t think it would be fair on garima ji and shashi ji… there’s so much one has to do for a daughter’s wedding… but soon enough… okay?” nani ji was right, anjali didn’t insist. “okay, i’ll see you later, got some work to finish,” asr turned to leave for the office. “office? now? chhotey, will you carry on like this after monday too? 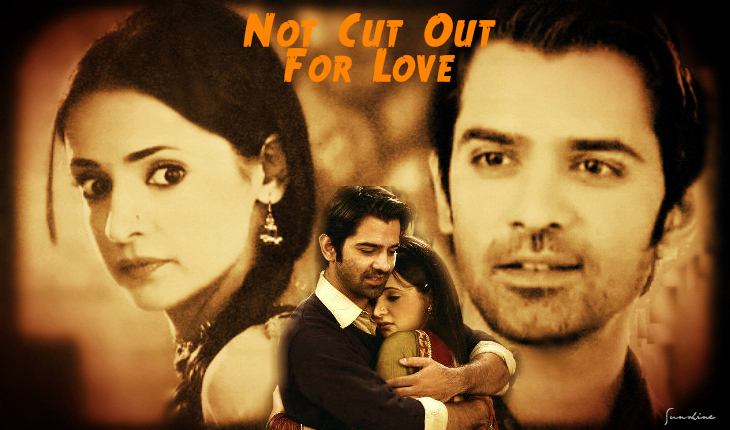 after khushi is here?” di’s voice had that slightly fed up air, asr grinned as he walked out without turning back. “hmm hmm hm hmmm hm to meee…” payal was humming under her breath as she made their bed. she was also smiling to herself. “angrezon ke zamane ke jailer hain hum! aadhe idhar jao, aadhe udhar jao… baaki mere saath aao!” as she spoke, she shoved payal first to her left, then her right, and then dragged her along to the other side of the bed. much as she adored salman ji, the classic masala film sholay remained a hot favourite with sankadevi and for some reason, today she really wanted to go a bit more crazy than usual. had arnav ji really said those words to her? her ears went hot. “khushi ki bacchhi, stop pushing me around,” payal giggled… akash ji had looked so lovely singing that song, she wanted to run her fingers through akash ji’s hair… at the thought, payal’s cheeks went hot. khushi caught hold of payal’s arms and pulled, and they both tumbled onto their bed, laughing and playfully fighting with each other. lying on the bed, looking up at the ceiling, khushi’s stars dangling and swaying from the posters and the rails above, the girls were happy in a way perhaps they had need been before. “ajeeb hai na zindagi, jiji!” khushi said musing. “since when are you talking about life, my titaliya, forgotten your jalebis?” payal pulled her leg. “jiji!” khushi tried to sound affronted. but today, it was just not possible. “khoosie bitiya,” amma walked into the room, smiling… no beaming really. she sat by khushi and held her hand, “see, bitiya, in three days,” garima paused, overwhelmed by that time frame suddenly, only three days to go… “you will be married… i wanted to give you these… they are your mother’s… i know she would have wanted you to wear them at your wedding…” she held out her hand, a little bundle of shining metal rested on her palm. the smile left khushi’s face, tears choked her. khushi tried to coax the smile back again, she didn’t want to make amma sad… she reached out with trembling fingers and picked up a piece from the little sparkling heap. it came off easily, making a tinkling tender sound. a pretty delicate payal… in silver. khushi looked at it in wonder then turned to garima, a question in her eyes. “yes, khoosie bitiya, these were jiji’s and she wore them every day,” garima said gently, “and these she wore when she was going somewhere special…” she was holding up a pair of gold jhumkas, the classic birdcage design in intricate filigree work, a flower motif on top and the round swinging dome shaped base below. they were swaying as amma held them, the little circle of bells around the rim moving to their own rhythm, a little fey, out of step. khushi touched the earrings almost reverently. her amma. the tears vanished, a huge grin came on. “arri o sanka devi!” bua ji yelled even louder topping her niece’s voice, “have you got the kiss of sanak again! you’re getting married in three days. parmeswariii… when will you understand, you are girl… you must be a little shy… a little quiet… now that you are about to be dulhan, bride, understand? !” bua ji stood at the doorway, looking at everyone with a stern gaze, below which you could clearly see utter indulgence. her om locket was standing up, parallel to the ground, pulled against her neck (or was it her fourth chin?) by the short chain it hung on. her long plait was wound around her neck and her hands were twirling as she did a “dulhan” look. “like this?” bua ji demonstrated, she looked down once, then up quickly, then she smiled coyly and turned away hiding her face. the girls including garima tried their level best not to burst out guffawing. “i was such a lovely bride, for your haldi, i will give you my lehenga, titaliya…” bua ji sniffed. titaliya balked. that lehenga again! asr reached ar and went straight to a room next to where the design team sat. he walked in without knocking. inside jean pierre, kareena, salman and pam and sim were huddled around a mannequin, working. jean pierre looked up as he walked in, “ah, ahhnav… all done, don’t worry, just ze last leetle finishing touches,” he said cheerfully. pam and sim both looked a little nervous as they nodded furiously, the boss was highly unpredictable and could start yelling any time. kareena and salman nodded too but both were smiling. they were obviously pleased with what they had done. the whole group stood aside to let arnav singh raizada take a look at what they’d been working on. orange was the first colour that came into view, then red, crimson, flame orange and more red. yards and yards of chiffon, silk, lace and net enmeshed, layered and cascaded, forming a fabulous full skirt, the weight of the different fabrics had been balanced and the cut had been worked so that every time one moved the skirt swayed and twirled, a light delicate feel to it. very very fine zardosi work highlighted contours and created a narrow border all around the edge. sprays of tiny pearls and blood red minuscule sequins decorated the folds and fell elegantly across the many layers. it was a resplendent lehenga, fiery and energetic, yet dainty and pretty at heart. asr’s lips began to curve, a slow lopsided smile appeared. pam almost passed out. sim nudged her. “i see ahhnav, you like eet… okay, everyone, let’s spleet ze scene, i sink asr would like to be left alone now…” jp knew his client well, asr always liked to look at the showstoppers and other significant creations for a collection by himself, alone. and this was much more than that. when they had all left and the door had closed after them and silence enveloped the room, asr breathed out slowly, and let his eyes move up. velvet. like the petals of the flower she reminded him of. frangipani, sensuous, soft, supple and strong. dark crimson velvet for the choli was the only instruction he had given jp. and yes, whatever they created, had to reflect a certain lightness, joy. nothing overpowering, nothing heavy or gaudy. the choli hugged the mannequin’s curves, a simple broad u-shaped neck, edgings in delicate zardosi, and a touch of gota in the hand finished piping, the body plain and simply red. 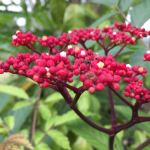 the cap sleeves were short and from each of them hung a whimsical cluster of pompoms in red and orangey yellow dangling on strings of little pearls. the odhni had been placed over the shoulders, a diaphanous flame orange tissue, which had hand tied tassels at both ends and no other embellishments. asr stood gazing at his bride’s shadi ka joda, a hush spreading through him. khushi would look beautiful in it. as his bride. he remembered the day he had gone to fetch her from lucknow… she had been standing at the door of her home with her two huge suitcases, looking irritated in a pretty strange pink churidar kurta, gota shining and pompoms everywhere. unbelievable. when had he fallen in love? bijli giraane main hoon aayi… went her phone, she had just got a new sound for her smses, happy ji had shown her how to get a part of one of her favourite songs as message tone. but who was sending her an sms at midnight? khushi jumped up bleary eyed in bed and tottered to the desk to look at her phone. “kisse pyaar karti ho?” it read. A more than satisfactory conclusion to last chapter’s cliff hanger. How mercurial is this ASR that you have create? From anger to tenderness in the blink of an eye. But what I really love is the brusqueness that he uses to camouflage the tenderness. Though it is beginning to not come on command so easily anymore, it seems. Love that too. And Khushi… That slightly flaky, completely crazy girl that you have created. Her gift of trust, her conscious though silent acknowledgement of this trust is the perfect counterpart to his declaration of love. Poor Akash… idhar sar mundata hai… udhar olay par jatain hain… I was helplessly laughing after the latest attempt at romance by the poor guy. First caught by Billo Mausi and then his own mother. He really needs to work on that Badmash part. Mama ji’s silent character was another one that I felt could have been explored more in the show. I love the insight you have given us into his mind. His acceptance of his wife’s foibles is so endearing. Definitely not of the ‘You are perfect, I love you, now change!’ school of thought. This is the woman he fell in love with, this is the woman he married and he supported her in his own way. Another great chapter. Thank you! hahhah akash, you’re right, he does keep getting caught. but then he’s a sweet singer type, loves hard heavy sort of sound, a fantasy in him maybe about being a badmash? glad you like mama ji, i always felt his crazy attraction to his mano darling despite the droll remarks. wish they had told us a bit about mami and her snaring of the raizada heir… would have been most interesting, both actors being talented and sharp. khushi was so full of possibilities, i enjoyed watching her break free of things, find her own self, and that gutsy jhalli pristine thing that made her, her… so dammit endearing. It’s nice to see them knowing each other..But that’s so funny to be caught by his mom ..Poor Akash..haha.. The eyelock scene made me laugh..Sorry..Actually I saw a meme on eyelocks in which they comically said sometimes the eyelocks seemed so long that people will finish the breakfast , lunch & dinner in between..
Gupta house scene is so lively and bilkul bride’s family’s scene..
eyelocks are truly filmi and do not happen, do they. it’s a visual device to convey all sorts of things, hahhhah breakfast-lunch-tea-dinner eyelocks. i had fun imagining him and the shadi ka joda, the fashion side struggling with the i love you dammit side and not being able to say no to chamkili desires.